Tim Cameron’s practice focuses on a wide range of matters in which he represents clients in all facets of litigation. Tim has a number of years of experience defending property owners in premises liability actions, including general negligence matters, negligent security matters and construction accidents. He also has extensive experience in the representation of physicians, nurses, hospitals and affiliated healthcare facilities. He also litigates transportation related matters and vehicular negligence claims. He has handled all aspects of defense litigation in New York State Supreme Courts throughout New York City and Long Island. 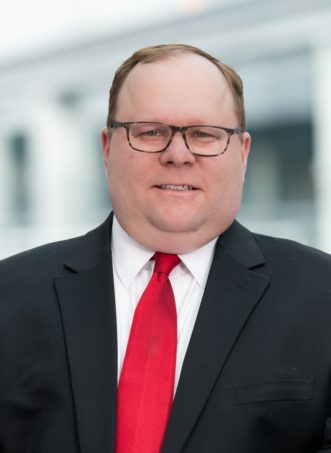 Prior to joining Lewis Johs, Tim was an associate at a Nassau County firm for 12 years specializing in medical malpractice and negligence actions. In 2005, Tim was admitted to practice in the State of New York. He is also admitted to practice in the United States District for the Eastern District of New York. He earned his Juris Doctorate at Hofstra University School of Law. He obtained his Bachelor of Arts in Political Science at Stony Brook University. Tim is a member of the New York State Bar Association and the Nassau County Bar Association. Tim resides in Sayville with his wife and two daughters.